All special events book very quickly, so please call 717-642-5261 for reservations! Excitement is in the air during ”tea time” at Hickory Bridge Farm. Everyone appreciates the details including lace tablecloths, tea cozies, fresh flowers and a delicious menu paired with specialty teas. Tea Time is 11:30, 12:00 or 12:30. Meet and Greet with "Cinderella"
$20.00 per guest with tax & gratuities included. On Sunday, August 4, 2019, we will be celebrating 42 years at Hickory Bridge Farm-while hosting our annual summer farm to table dinner. 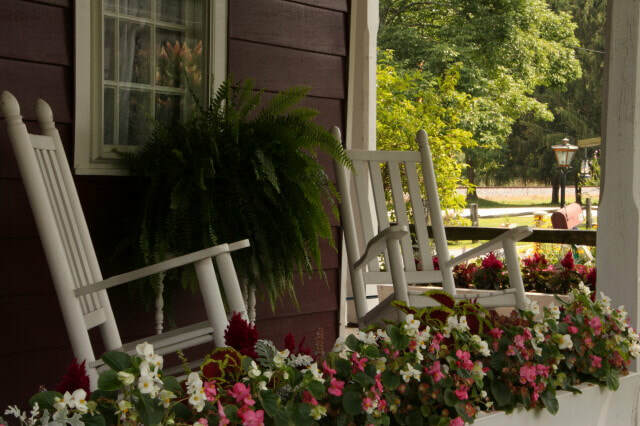 This is always a special day, when guests can tour our bed and breakfast facilities, enjoy live music and watch antique farm machinery demonstrations. The dinner menu will be highlighted with the bounty of the summer season. Don't forget to book a reservation for this special event! A wonderful addition to your dining experience at Hickory Bridge Farm. A variety of genres are offered throughout the year. Enjoy live performances while dining....see if you can solve the Mystery! Wednesday, September 25, 2019 ~ "Death of a Gangster"
Take a jaunt back in time and relive a little history......enjoy a Family~Style lunch then sit back and be entertained! Wednesday, June 12, 2019 ~ "General & Mrs. Ulysses S Grant"
Wednesday, August 21, 2019 ~ "Mamie Eisenhower"
Wednesday, October 16, 2019 ~ "Abraham Lincoln"